Kyle Knott joins the Mars Hill Cycling coaching staff this summer as the assistant coach responsible for track cycling. He will share his knowledge and experience from being the Programs Coordinator at the Giordana Velodrome and an elite racer on both the road and track. Knott is a Mars Hill graduate and member of the National Championship winning team in 2011 and was Mars Hill’s first national champion winning the criterium and individual omnium that year. 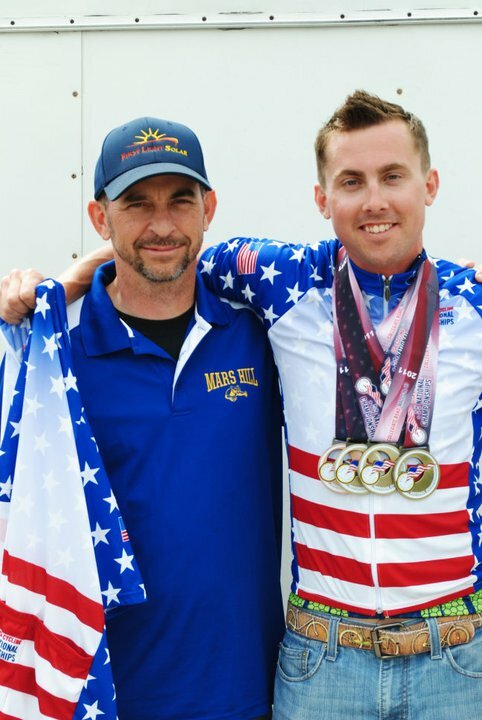 Knott knows exactly what it takes to go from an underdog to the top step and looks forward to coaching the Mars Hill Cycling Team to both individual and team national titles in the future. Welcome back to the team, Kyle!